As we were traversing the wild island that is Iceland, we had been having pretty good weather. Yes, there were drizzles, a few rain showers here and there, but overall the sun would shine, the clouds came out, and we had some beautiful days. 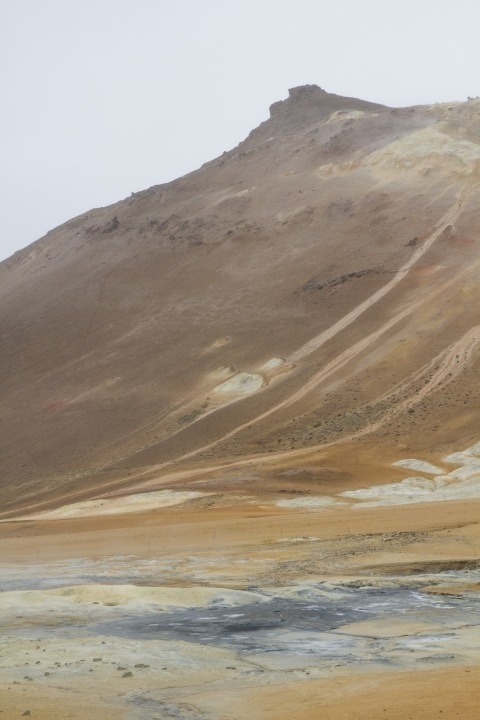 The day that we were exploring some of the geo-thermal areas was pretty miserable. It was one of those days where the gray just takes over and doesn’t let up. The sun couldn’t poke through, there was almost no difference in land and sky; it was all one gray landscape with a black blot of land rising up in the distance. It was, to say the least, a little gloomy. 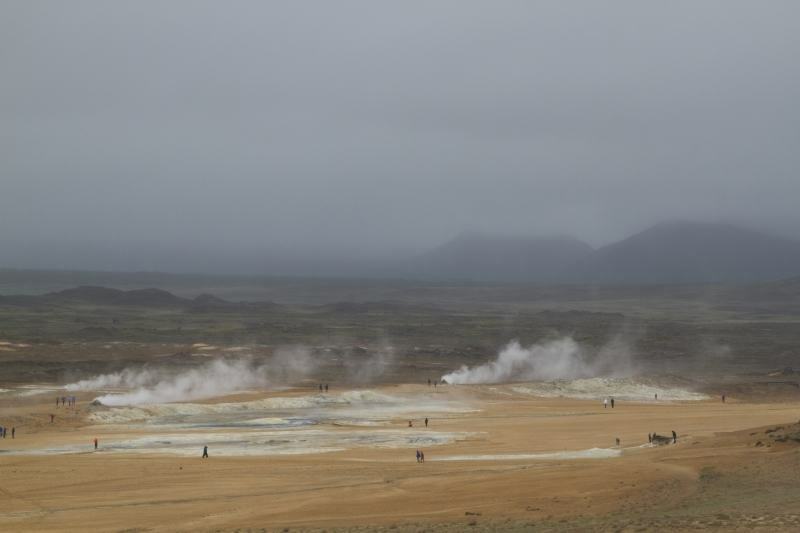 Thanks to all the volcanoes that make up Iceland, we were walking by plenty of sulfuric holes in the fields, with steam escaping in a single line not unlike my teakettle. It was almost comforting to wander and feel the heat coming out of the various holes. Additional Reading: The most beautiful place on earth…. If you look closely at the photos, you’ll notice that everyone is completely covered up from head to toe. It was the first day that I saw folks sporting hoods, woolen caps, and even gloves. It was almost the Icelandic day that I had been expecting all along; maybe we all were. No one was surprised, and everyone was ready for it. Paths and small wooden bridges led us around and up, down and through a variety of mud pools, steamy plumes, and a hidden warmth. 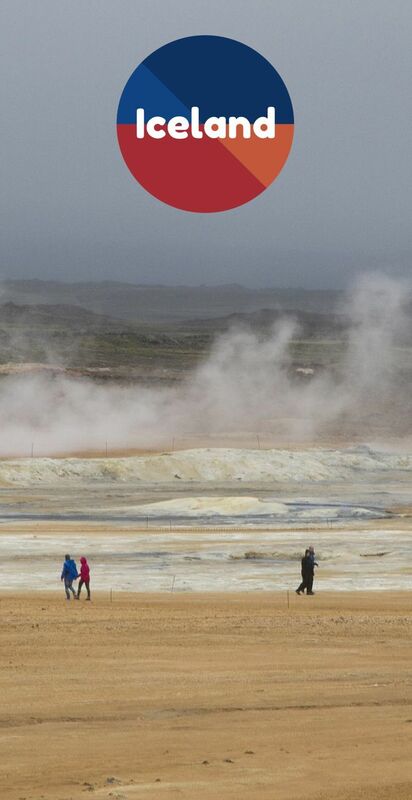 One farmer explained that no one really had to pay for heat in Iceland, because it all comes from the ground. Some places it’s just a little deeper than others. In fact 87% of all homes get there hot water and heat from the ground, and it provides power and heat to five power stations as well. It’s not just the government or big business that’s harnessed this natural resource. 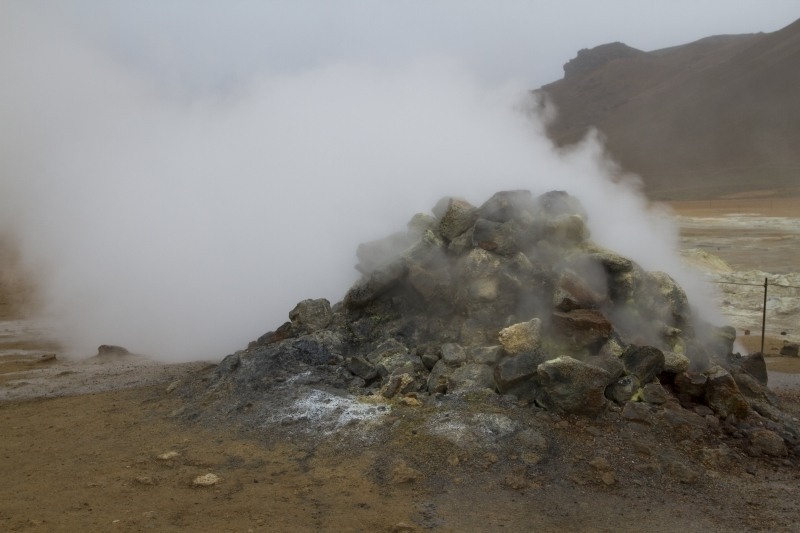 Plenty of individuals, hotels, spas (Blue Lagoon) have also tapped in and built hot pots or natural hot tubs. It contributes to heating the community pools all over the country, which is one why it is so cheap to camp. 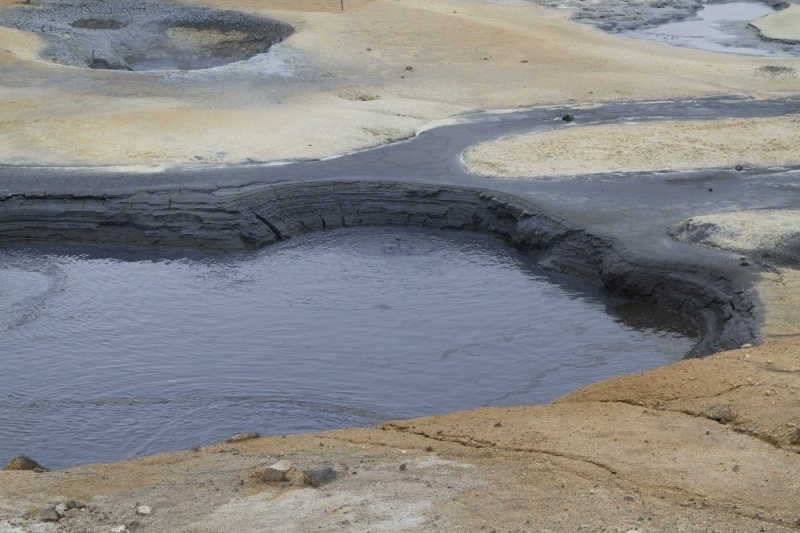 However, these are not the mud pools that you want to crawl into and smear the mud all over your body. No, these were way too hot. From a few feet away, you wouldn’t feel it, but the closer you got, the hotter it got. 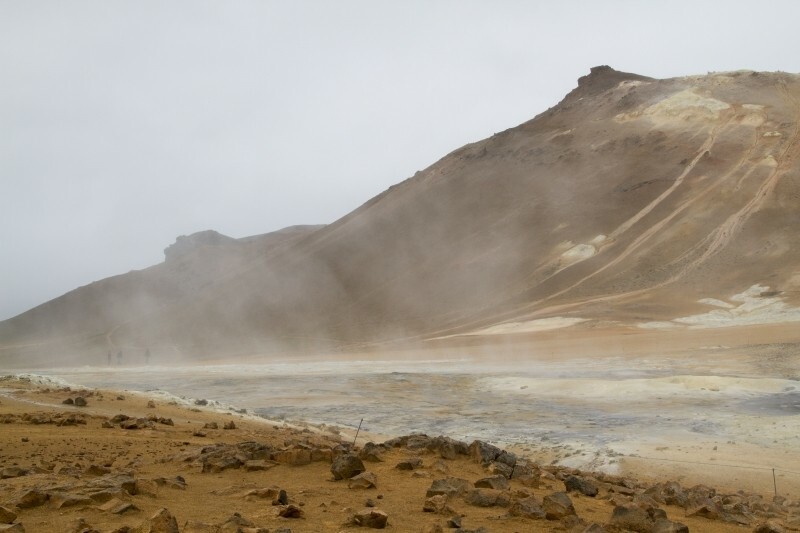 A barren, mud-stained ochre-colored landscape, it looks like I would expect another planet to look like. It was so cold, we only braved it for about 40 minutes, but then after this last pile of warmth where even though it doesn’t show it in the photo, there were plenty of chilled visitors clamoring for some heat, we warmed up, shook the drizzled raindrops off our shoulders and went to find the jeep where we could crank up the heat. What would you expect weather-wise if you visited Iceland? 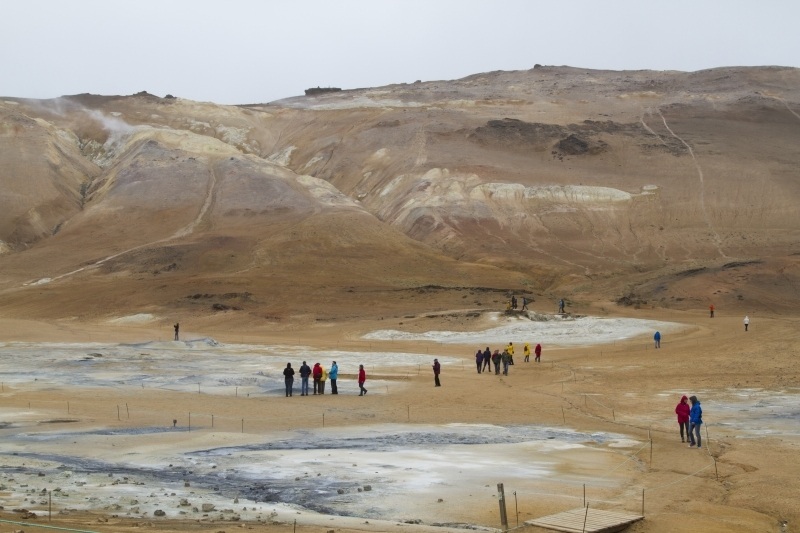 Would these geo-thermal fields warm you up? 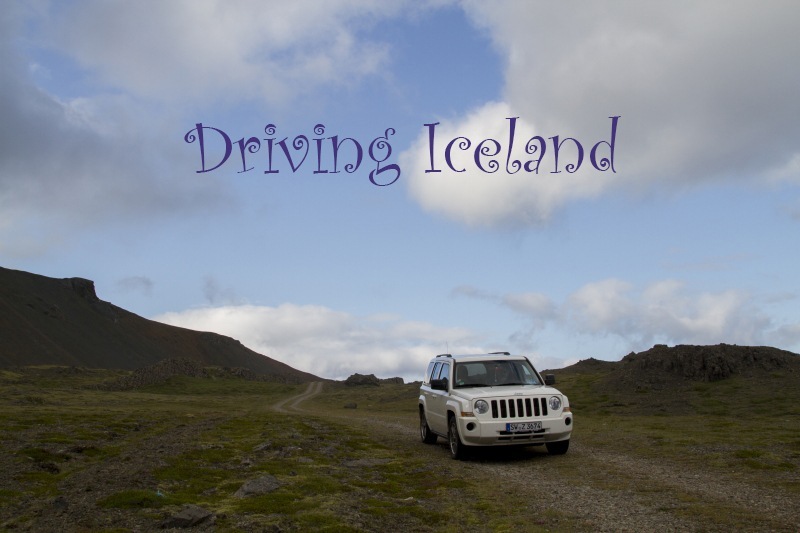 Who Travels to Iceland? 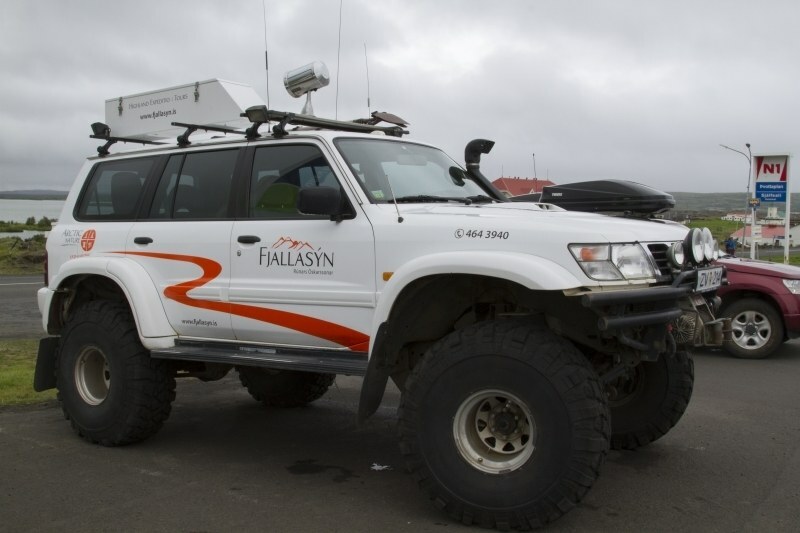 Trucks, Campers, and Overlanders Rule the Road! 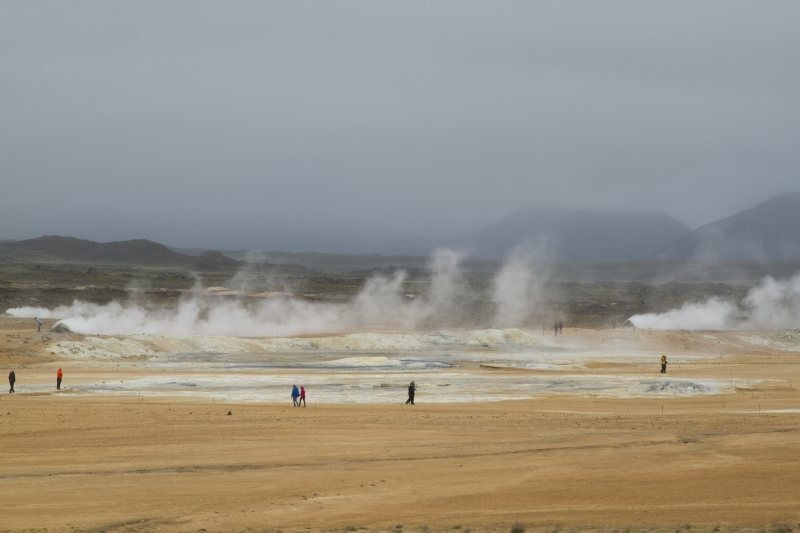 When we went to Iceland (in October) it was off and on rainy the entire time and one day that we road tripped it was incredibly windy – the strongest wind we’d ever felt! Emily, I’ll bet that was a little scary…some of those roads are a bit small. How crazy that so many of the houses get there heating and hot water from the ground! Wish heat was that cheap and easy here in the UK! Catherine, I know! We are kind of addicted to having a warm house in winter, but we pay for it! We had the opposite weather to you Corinne even though we were in Iceland only days apart. In 2 weeks we only had 2 days of sun and we wore hoods, gloves and even rain trousers over our jeans much of the time…in July! The day we went exploring in Krysuvik geothermal area we got soaked through to our underwear!!! But we loved every minute of it. Phoebe, Yeah, we loved it, too, but oooohhhhh was it cold! Once again, really cool photos. Every time you write about Iceland, I want to visit, and it moves up on my bucket list, although I will eventually choose summer time to go. Rhonda, I think you would enjoy it! I don’t do well with cold so I would definitely go to the geo thermal fields to warm up. Rachel, I agree. I like the cold, but that was a bone-chilling, wet cold…too cold for me.